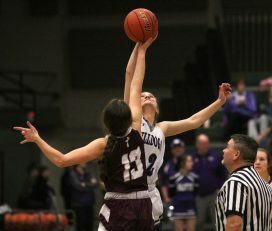 The game went according to script for the Butte High girls’ basketball team. 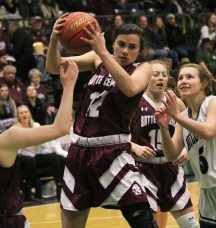 The Bulldogs built a quick lead Thursday night before holding off the feisty Butte Central Maroons for a 57-40 win at the Butte Civic Center. When the game ended, the Bulldogs were quick to praise the ultra-young Maroons. 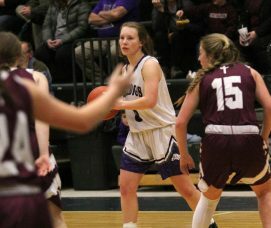 “They’re a young team, but they’re really good, and they challenged us,” Butte High senior Ally Cleverly said. “They’re just going to get better as the season goes on. That BC effort came after the Bulldogs started the game just how they wanted to. Aspen Lovshin hit a 3-pointer off a Brittney Tierney pass to start a 22-7 Bulldog run that turned a 7-5 Bulldog lead into a 29-12 advantage. 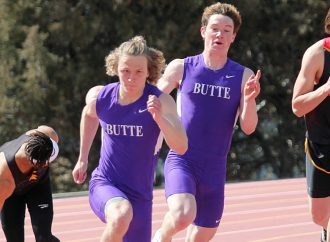 The win was the second straight in the rivalry for Butte High, which snapped a three-game losing streak to BC last year. The win, though, didn’t go quite as expected after the early run. 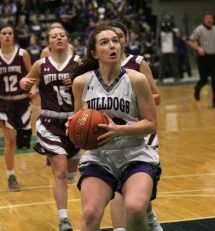 Central Scored six straight points to pull to within 29-19 before Makenna Carpenter hit a jumper off a Cleverly pass 9 second before halftime go give the Bulldogs a 31-19 lead heading into the locker room. The Bulldogs kept trying to knock out the Maroons in the second half, but BC battled until the end. BC coach Meg Murphy also had praise for her team, which can win the Southwestern A regular-season title with a win Saturday at Corvallis. “I’m proud of them,” Murphy said. “Our kids played well. Our young kids battled. We played the second and third quarter with a senior, a freshman and three sophomores. Cleverly and Lovshin scored 14 points apiece to lead the way as the Bulldogs improved to 11-3 on the season. They upped there all-time lead over BC to 35-18. 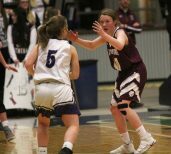 Justise Birkenbuel added nine points off the bench, while Carpenter tossed in seven, Haley Herron tossed in five, Brittney Tierney netted four, and Trisha Erickson and McCaul McCarthy each scored two. 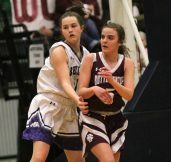 Grace McGrath and MacKenzie Tutty also played for the Bulldogs. Lovshin, Cleverly, Tierney and Birkenbuel are seniors for the Bulldogs. Their careers started with back-to-back 2-19 seasons and two straight losses to BC. Last year, the Maroons turned the tide, and Thursday’s win evens the Bulldog senior record in the crosstown rivalry. That was also not lost on Cook. Cook was happy his team won despite not playing on top of its game. The win was the 10th in 11 games for the Bulldogs. “Our kids played great at times, and sometimes we looked tired,” he said. “It’s one of those games where the emotions and everybody so hyped up for the game that you just don’t play your best game. 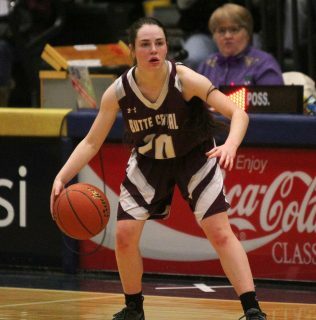 Maddie Kump scored nine points, while seniors Bella Sorini and Tricia each scored eight for the Maroons. Freshman Sofee Thatcher, who was a force on the boards, scored six points, Amira Bolton and Emma Keeley each scored four, and Taylor Harrington tossed in one. Shea Davis started and battled on the boards for the Maroons, too. “We wouldn’t be in this position if we didn’t have her,” Murphy said of the selfless Davis, who went out for the team because program was low on numbers. Avery Kelly and Delaney Hasquet also played for BC, which fell to 7-10 overall. While the Maroons host to the Southwestern A District tournament after Saturday’s huge game at Corvallis, Butte High has four more conference games remaining starting with next Friday’s game at Billings Skyview. 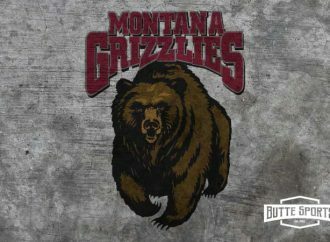 The Bulldogs will then play at Billings West and Bozeman before closing the regular season Feb. 22 at home against Billings Senior. Cleverly said Thursday’s win will be one she will always remember. 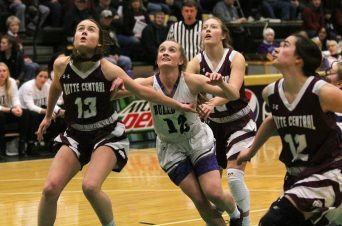 BUTTE CENTRAL (7-10) — Bella Sorini 2 3-6 8, Shea Davis 0 0-0 0, Emma Keeley 1 2-2 4, Tricia Joyce 3 0-0 8, Maddie Kump 3 2-2 9, Sofee Thatcher 1 4-8 6, Amira Bolton 2 0-0 4, Taylor Harrington 0 1-3 1, Avery Kelly 0 0-0 0, Delaney Hasquet 0 0-0 0. Totals 12 12-21 40. 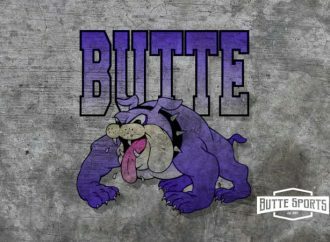 BUTTE HIGH (11-3) — Aspen Lovshin 5 2-4 14, Makenna Carpenter 3 1-7 7, Ally Cleverly 6 1-2 14, Haley Herron 2 1-2 5, Brittney Tierney 2 0-0 4, Justise Birkenbuel 3 2-2 9, McCaul McCarthy 1 0-0 2, Trisha Ericson 0 2-2 2, Grace McGrath 0 0-0 0, MacKenzie Tutty 0 0-0 0. Totals 22 9-19 57. 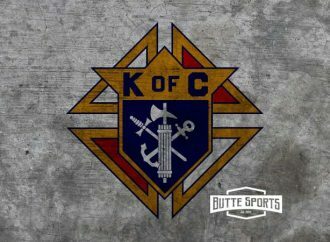 3-point goals — BC 4 (Joyce 2, Sorini, Kump), Butte 4 (Lovshin 2, Birkenbuel, Cleverly). Fouls — Central 18, Butte 20. Fouled out — Herron, Sorini. Technicals — none.